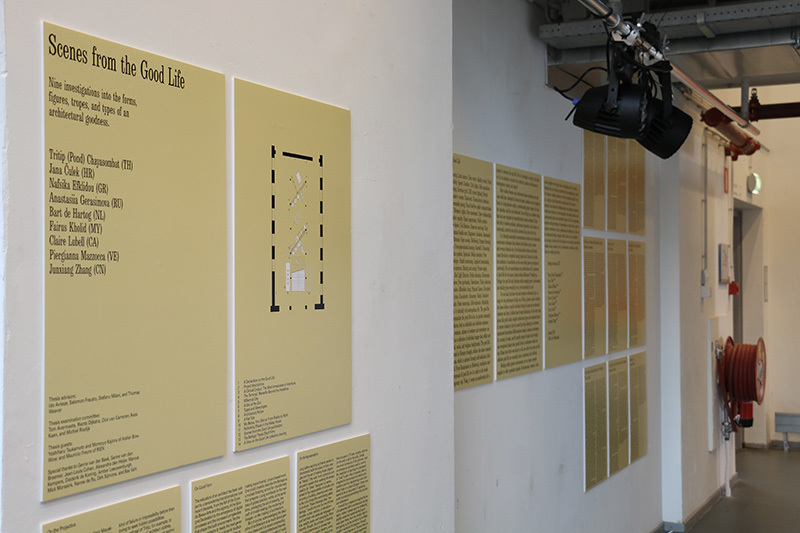 S cenes from the Good Life was a week long exhibition of the final thesis projects from the Berlage Generation XXV. 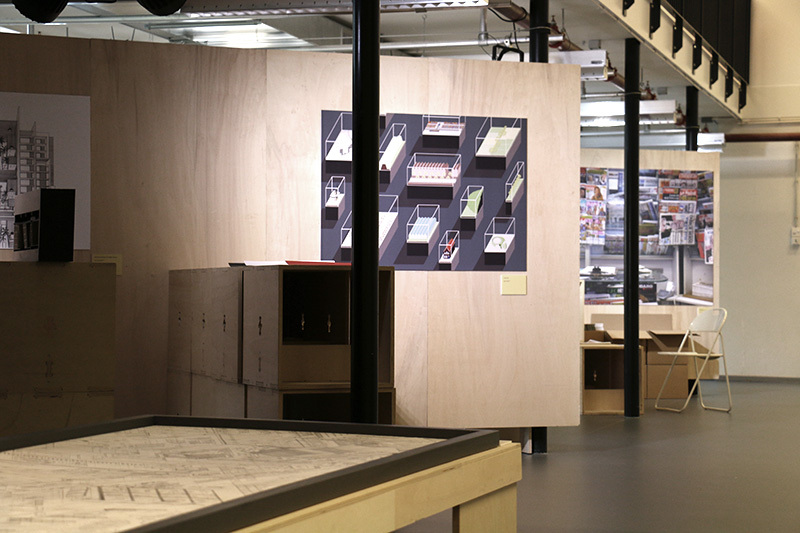 Held at the TU Delft Faculty of Architecture in the BK Expo space, the exhibition was comprised of nine individual projects created by the Generation XXV, as well as a collective project: A View on the Good Life. 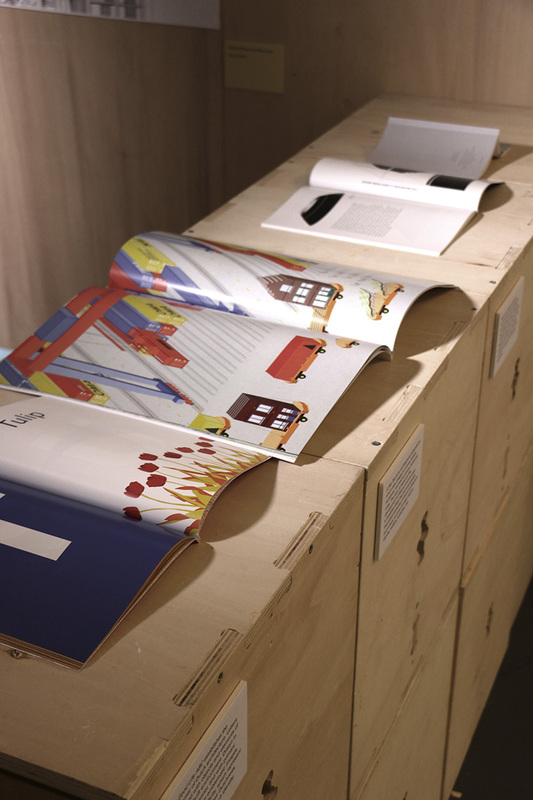 My project, A Flat Tale, was presented through the four books and a large representative image. 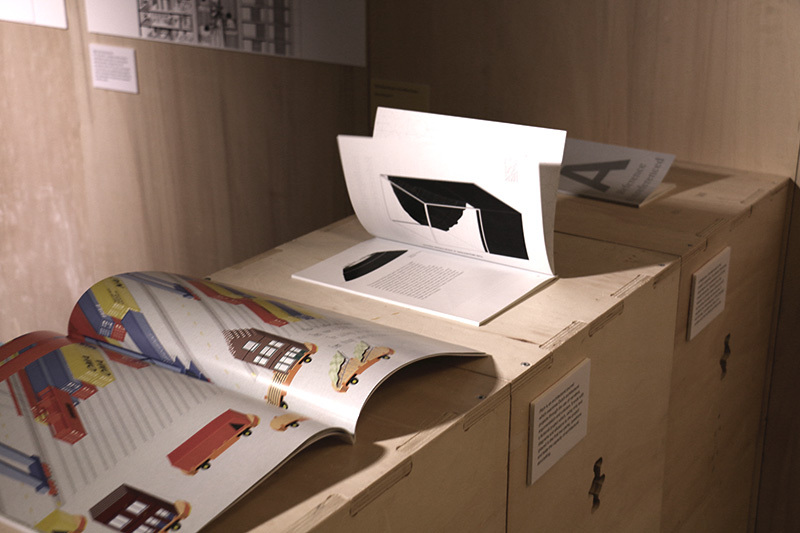 The image used for the exhibition, entitled Constructed Landscapes is a spread from the architectural picturebook A Flat Tale. As an homage to “The City of the Captive Globe” project by Rem Koolhaas, found within the last couple of pages of Delirious New York, this drawing is a collection of elements of the Dutch landscape and the built environment. These elements are removed from their natural surroundings and placed as specimens into glass exhibition boxes. Some of these boxes contain types and archetypes of Dutchness, while others are found peculiarities, chosen subjectively. The scales of the specimens and the sizes of their boxes are not uniform. The sizes which are chosen are ones which depict the specimens in the most favourable way. The boxes with specimens are placed in a dark, uniform room. The light in the room comes from the illumination of the specimens. This way of depiction can be related to night scenes in the Netherlands, where the large areas of glasshouses illuminate the night sky, giving it an orange hue. It can also be related to the skilful way in which the great Dutch masters used light in their paintings. Only the important things are well lit and detailed. The background is not as important as the objects themselves. “As illuminated by Breton, the highly ambivalent production of OMA laminates distinctly into two different levels of meaning, whose consequence I would argue, must vary to the degree that they emerge from the ‘illusion’ of painting or the ’reality’ of architecture. On the other hand, the highly hermetic sublimation of the unconscious and on the other, the direct projection of a hedonistic world whose meaning – as form – would coincide, if built, with the actual fulfilment of desire. That moment projected by Baudelaire where all would be ‘luxe, calm et volupte’.”2. As a drawing which represents a section of the Dutch environment, it also represents a section of the ingredients of the Dutch good life. Depicting areas of life, production, transport, export, leisure, nature, it provides a little bit of everything that can make a life good. It depicts the environments in which life occurs and in which a good life is a possibility. Since there is no prescription or an agreed upon definition of what the good life is for someone or for everyone, these specimens only propose some places where it can maybe be found in the Netherlands. 1_Scalbert, Irenee. “A World of Differences or a Different World”. 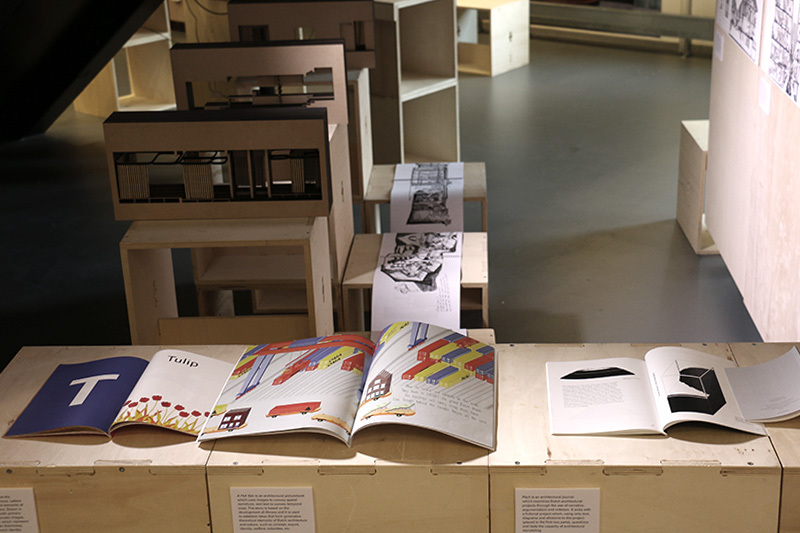 Oase #67: After the Party – Dutch Architecture 2005. 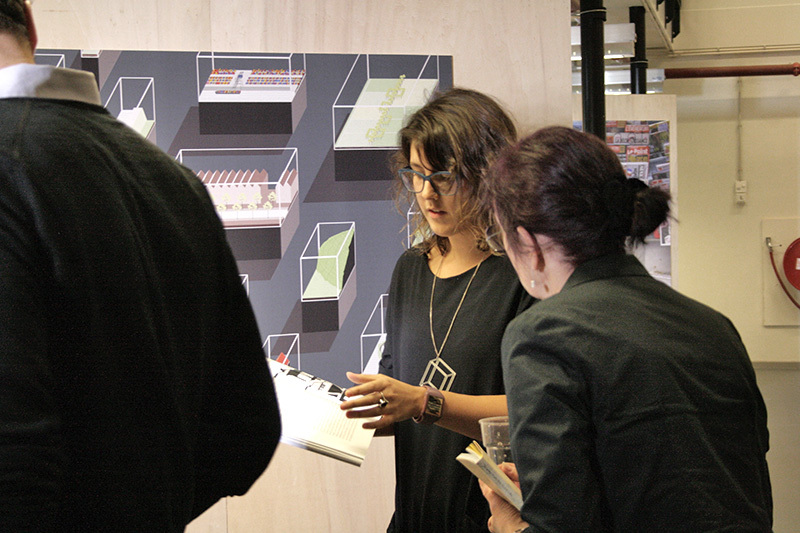 NAI 010 Publishers. 2005. 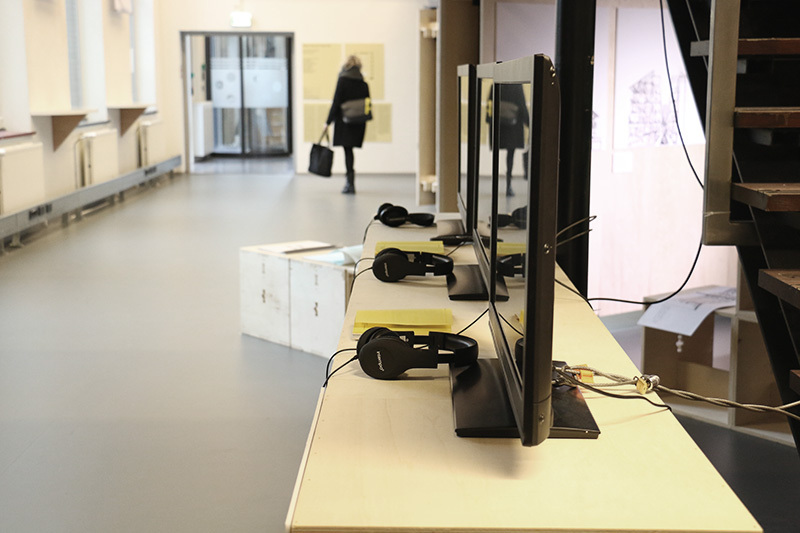 Authors of the exhibited work and exhibition setup: Tritip Chayasombat, Jana Čulek, Nafsika Efklidou, Anastasiia Gerasimova, Bart de Hartog, Fairus Kholid, Claire Lubell, Piergianna Mazzocca and Junxiang Zhang. 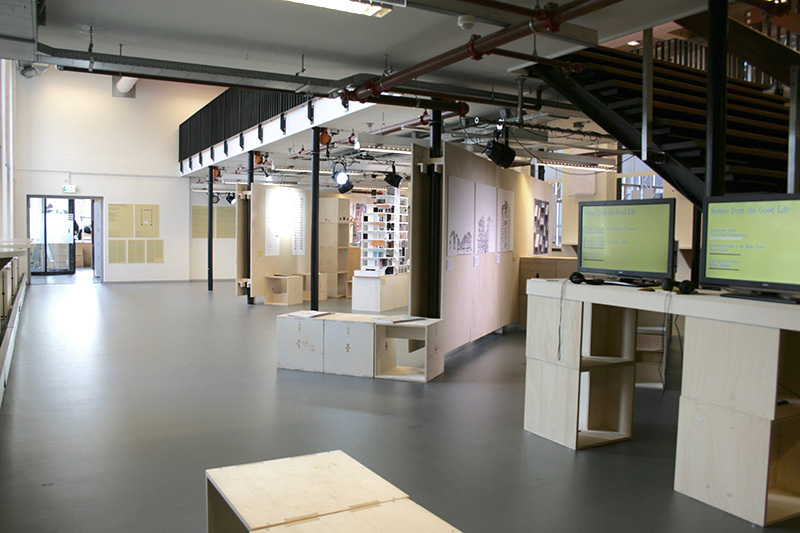 *Photographs of the exhibition were taken by Mick Morssink and Adam Turczyn.